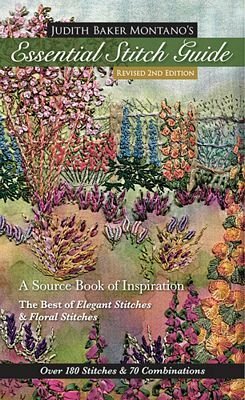 Globally recognized needlework expert Judith Baker Montano shares 180 stitches and 70 combinations in this improved and updated second edition. Featuring even more traditional embroidery stitches, silk ribbon stitches, and crazy-quilting combinations, this beautiful handbook has an updated section of free-form inspiration for improvisational work. With full- color illustrations and advice for lefties, the essential reference goes far beyond the basics. 192 pages, color. 5.25x9in.